In recent decades, gender mainstreaming has become an integral part of national and municipal policy making. Gender mainstreaming advances gender equality by integrating a gender perspective into the processes of policy making, planning and allocation of budgets and resources. The goal is to take the impediments, experiences, and needs of men and women into consideration in the planning, implementation and monitoring processes of all political, economic and social areas of life so that both men and women stand to gain. One of the main ways to advance integration of a gender perspective is gender budgeting. This method uses an audit of the budget as a means to expose patterns of inequality in the distribution of resources, as well as their correspondence with the unique needs of men and women, boys and girls. Gender budgeting facilitates a more efficient allocation of funds to social services, increases the transparency of budgeting processes, and deepens the public’s democratic involvement in these processes. Municipal budgets, like the State budget, are perceived to be a neutral income and expenses log. There is hardly any direct reference to women or men. Yet, the budget is by no means neutral: It is a tool for distributing resources that reflects certain priorities. Women and men from various population groups are situated in different positions in society, the job market and the family, and these have different repercussions on their needs and roles. Women and men as well as members of different population groups consume public services including education, health and welfare in different ways and frequencies; therefore, budgeting has a different effect on women and men. 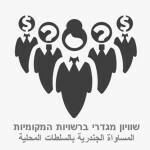 Since 1997, Adva Center has been leading the effort to integrate a gender perspective into public policies and municipal and state budgeting in Israel. In so doing, Adva combines community action work, research and advocacy. Based on the experience accumulated in Israel and abroad, Adva Center developed a guide for gender analysis of the budgets of local authorities. The guide provides the following 3 models: (1) analysis of specific municipal projects and programs from a gender perspective; (2) cross-sectional budget analysis of the monies allocated to designated groups of residents, from a gender perspective; and (3) gender analysis of employment patterns, wages and participation in decision-making processes in the local authority.